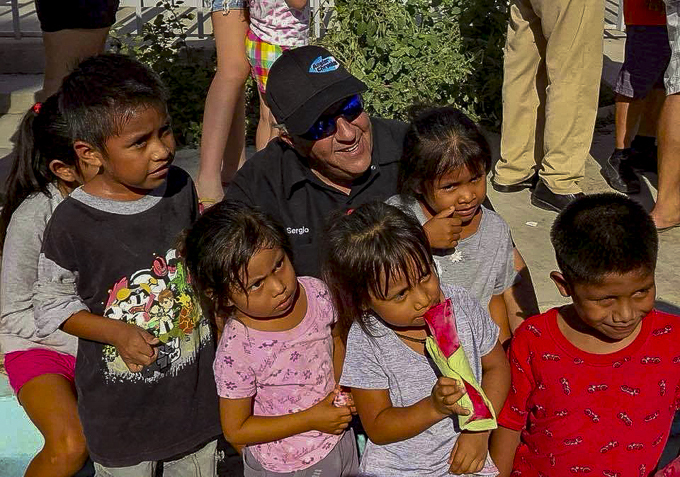 Discussion in 'Baja Bytes By Gary Graham' started by Baja Bytes, Oct 9, 2018.
and # CFE , is ready to address any contingency, as well as government institutions of # BCS . 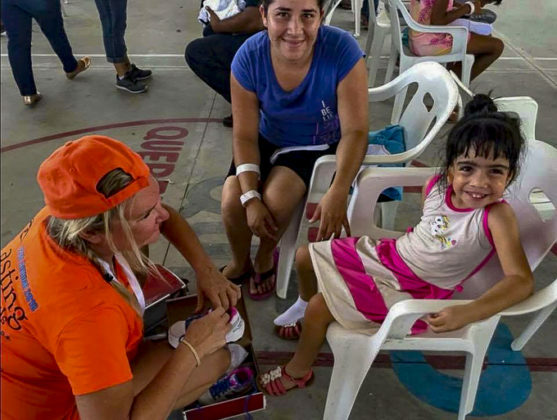 We will continue attentive to the trajectory of # Hurricane Sergio, we recommend you continue to be informed through official channels. On and off the water, Rapala has what you need for Baja! 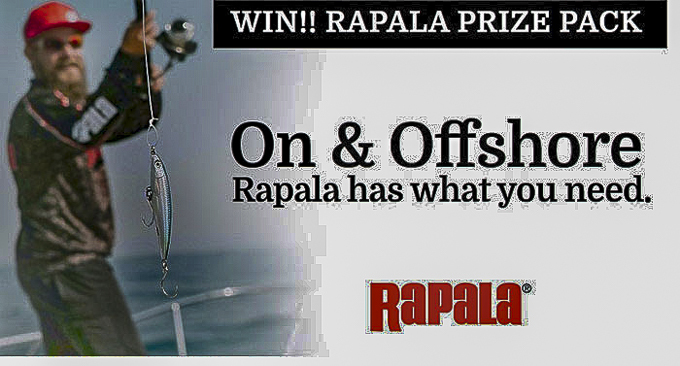 Rapala is giving away a prize pack for an angler to take home! The pack includes several types of lures like the X-Rap Magnum and X-Rap Long Cast, mono shears, braid, swag and much more! 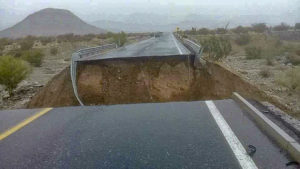 Any reports of road damage in Baja or Baja Sur after the Rosa rains? If you see dorado on a kelp but they don’t want to eat fly-lined sardines right away, there are several alternatives you can try to get them into a biting mood. Sometimes you may need to drop down to 15# or 20# fluorocarbon with a small hook, and live mackerel often works better than sardines. 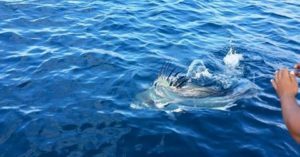 You can try setting up a chunk line by tossing a handful of chunked up sardines or mackerel to start, and then keep a steady pace of one to two chunks every 30 to 60 seconds. 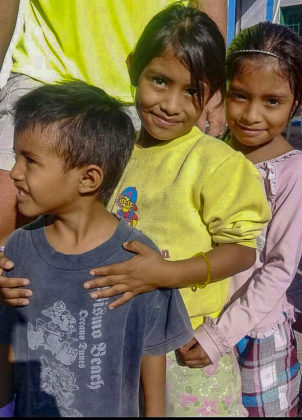 When the dorado start to come into the chunk line, they will sometimes eat either a live fly-lined bait or a chunk on fluorocarbon. 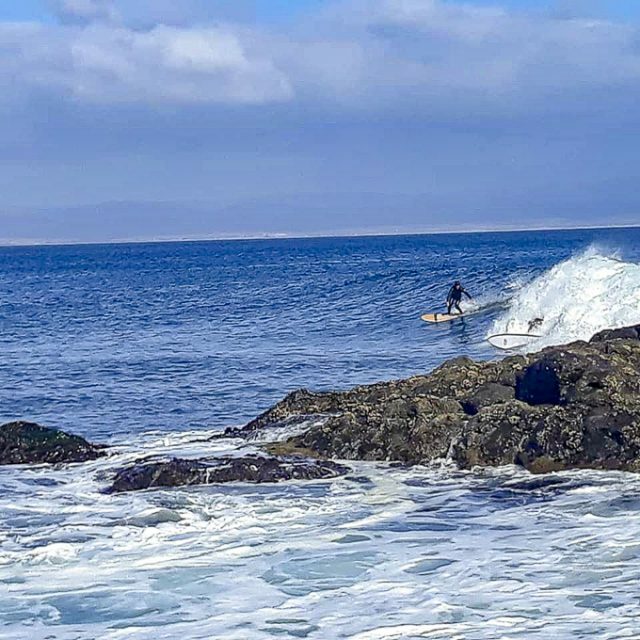 You can also slow-troll mackerel or sardines anywhere from 30 to 100-yards out around the kelp to pick off fish circling out wide; as a last resort you can sometimes pick off a fish or two by trolling a cedar plug, swimbait, or even a large brightly-colored marlin jig out around and past the kelp. Kelp paddy advice: do not fish for boats! Trolling is working very well to find schools of skipjack and yellowfin. Cedar plugs, pink/white feathers, daisy chains, and Rapalas/Halcos are all getting bit just fine. Occasionally you might luck into a yellowfin jig stop but most of the good yellowfin scores have come on bait either after a skipjack stop or on sonar schools or kelp paddies. Focus your efforts on general areas with good bird life. You may not see a ton of terns or bird piles, but if there are gulls and shearwaters flying around it’s a good zone to slow down and drop the jigs in for a while. Porpoise may also be holding yellowfin this time of year so it’s a good idea to drag the jigs around and through any pods you see actively feeding (bird life, jumps, tail slaps, etc.). You can also sometimes get out ahead of the pod, shut down, and throw chum to get the yellowfin to stick to the boat. Fly-lined sardines are working great for both skipjack and yellowfin, and dorado have been eating them as well lately (having mackerel is a plus but not completely necessary) — 20- to 25# test is working just fine, with #2 to 1/0 hooks. Skipjack will key in on the hot bait, but you might be able to weed through them with chunk bait or dead sardine. You’ll get fewer bites but a higher percentage of yellowfin this way. You can also throw Colt Snipers, Flat Falls, surface iron, poppers, and skip jigs for the yellowfin. Skipjack have also been eating these surprisingly often, but in general this has also been a good way to get a higher percentage of yellowfin bites. Conditions are on the grumpy side, but they are calming down during the day. 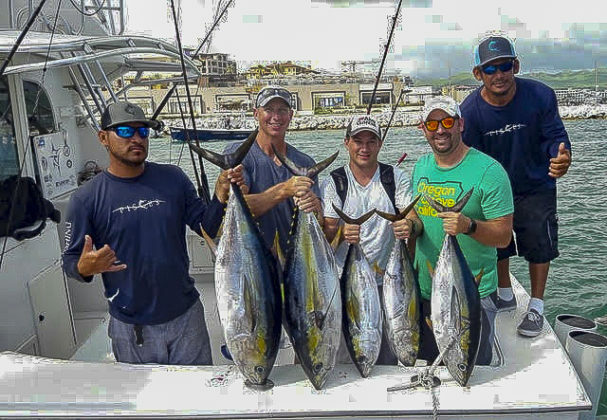 The yellowfin bite was very good once again for boats that found a holding kelp or open water school and could dump a lot of chum on the tuna. Once again today, the center of the action slid a few miles to the north, with some very good stops along and just north of the US/Mexico Border. 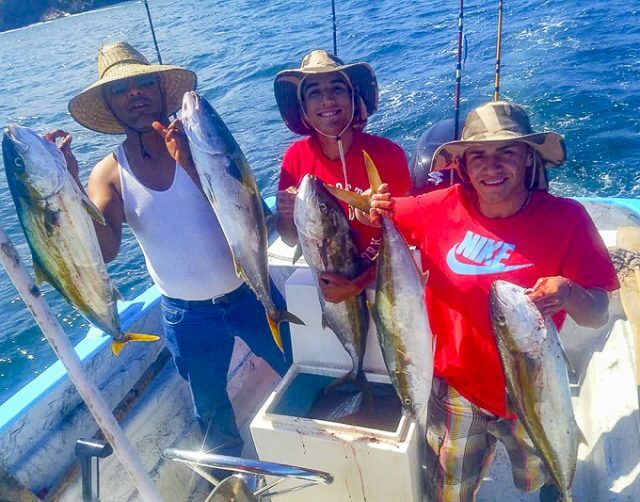 The 9 Mile Bank itself is holding lots of bonito that want to bite well, and then the yellowfin and skipjack are a few miles to the west and south in the cleaner, warmer water. For the most part, the best yellowfin hits are coming from a few kelp paddies that are holding very large schools of tuna. There are also some open-water schools of bonito and skipjack, with a very occasional open-water school of yellowfin either on its own or mixed with skipjack. 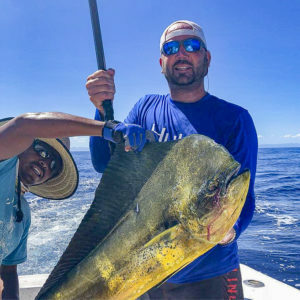 It’s taking a lot of chum to get the yellowfin to bite, which favors bigger yachts and sport boats over smaller private boats. You can increase your chum capacity by taking a pass or two of bait into an empty bucket to use for chunk. Also hang onto your used and dead bait throughout the day to chunk up for later use. Finally, be sure to use the “Pro Tip” at the top of the offshore section above and cast your hook bait at the same time as you toss a couple of pieces of live chum. This will greatly increase your hookup odds. October is the new September here in Bahia. 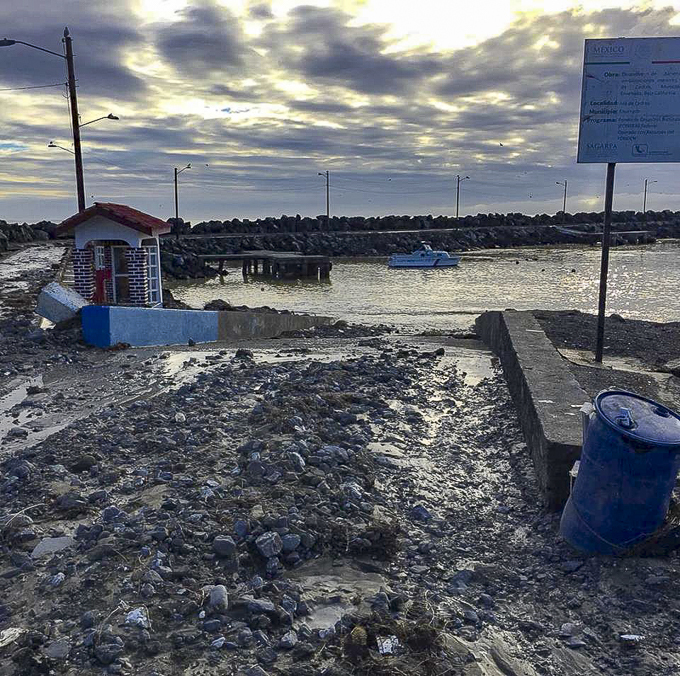 Seasonal changes have hit the Baja coast around Loreto and the nearby islands. “Mixed bag” seems to be the best description of what has been hitting the fillet table this week: cabrilla, snappers and fire crackers are in growing numbers along with this year’s crop of dodos. 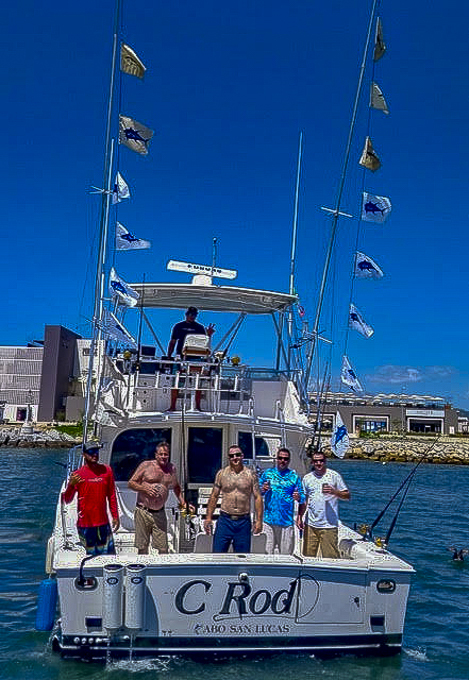 With most of the boats working the coastline for easy dorado action, the number of hookups on roosterfish has increased. Also the 18-inch juniors are tearing up the sardina schools along the rocks at the waterfront. Captain Tony was telling me he wants to load up on some big mackerel and head out early to the “50 Spot” for big yellowtail. Fishing deep for big bruisers before the January winds will be a welcome change. 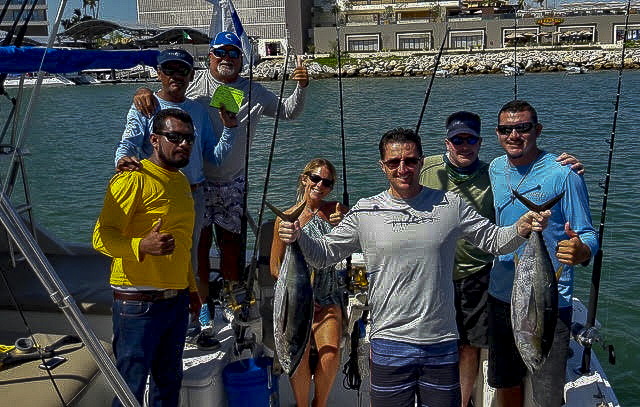 MEXICAN MINUTE LA PAZ FISHING REPORT from Tailhunter Sportfishing for Week of Oct. 1-7, 2018. 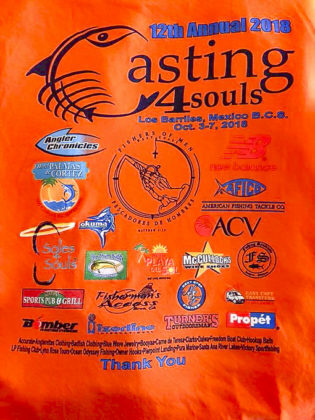 The 12th Annual Casting 4 Souls in Los Barriles was a complete success! 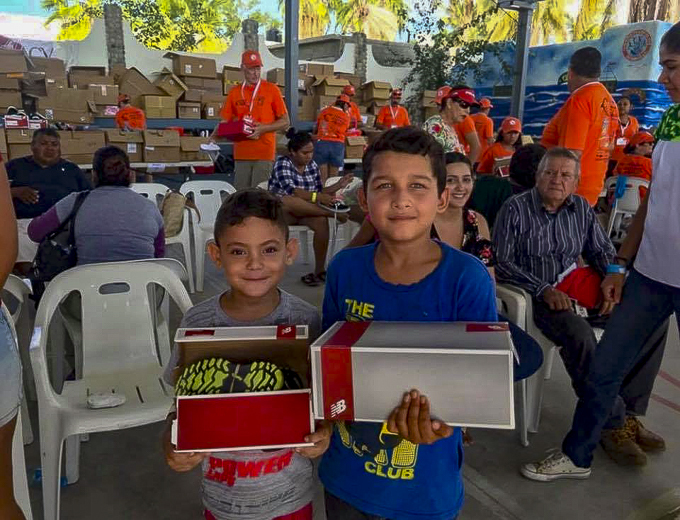 Close to 4,000 people were given a brand-new pair of shoes, socks, clothing, sunglasses, belts and a Bible. This event would not be possible without the help of all the wonderful volunteers each year who come from the local community and from all over the U.S., as well as the many employees of Van Wormer Resorts who volunteer for this wonderful event. Special thanks to Fishersofmen Westcoast, Angler Chronicles, New Balance, Aftco, Soles 4 Souls, ACV Logistics and to my good friend, Jack McCulloch for your support each and every year. If you would like to donate or be a part of next year’s event, please email [email protected] or [email protected]. 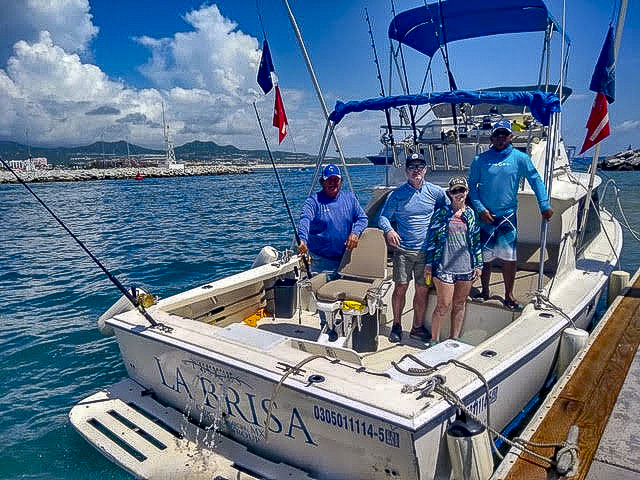 It was a pleasure to have Captain Martin Tuñón who visited us from the state of Texas and fished aboard #NathMich with Captain Omar Sandez landing #tuna #amberjack #redsnapper and many more. 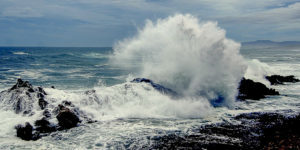 Baja as a tropical storm. Then we are followed Hurricane Sergio, which was far off to the west, nearly halfway to Hawaii. 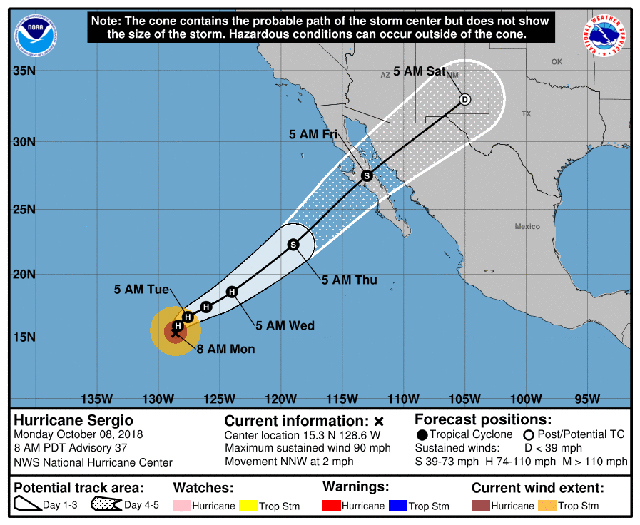 The deal with “Sergio” was that forecasters predicted the system would make a U-turn and head back northeast towards Central Baja; it’s almost unprecedented to have a tropical storm be that far west and then move all the way back toward Baja. As angling pressure increases we will see how supplies of sardina hold up; this has been the main baitfish being used; also, the slabs of squid make a good combination and option to have, if available. 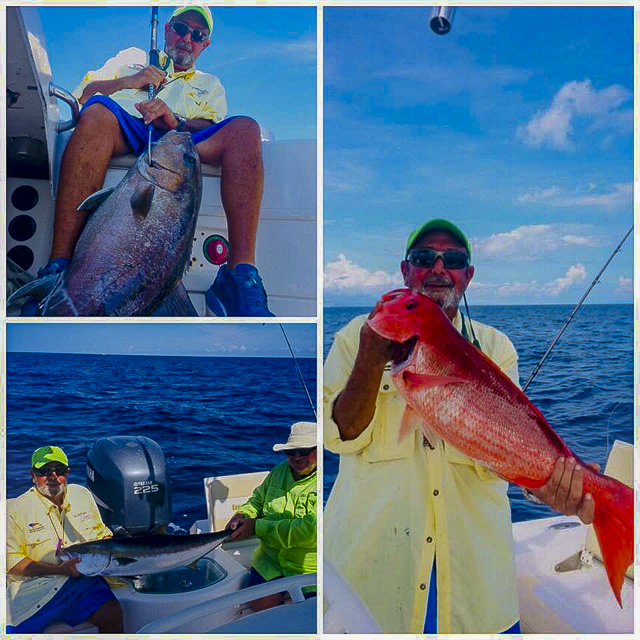 As we move into the fall season there will be more opportunities to look for other larger bait like chihuil, small skipjack, caballito and later sardineta and mackerel. 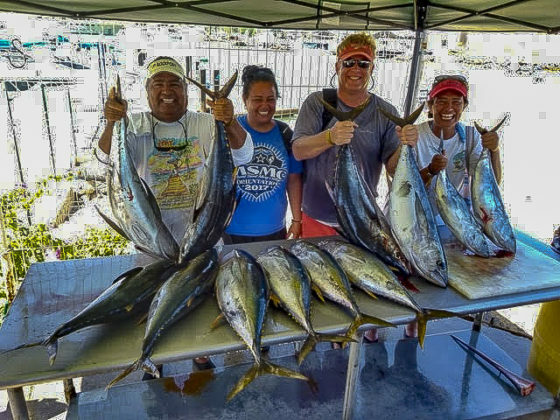 The main center of action for local fleets has been on the Iman Bank with yellowfin tuna being the most common gamefish ranging in size from 10- to 70-pounds. Mixed in were various skipjack and lots of pesky triggerfish. The bite was tough. The tuna would come up but were very finicky and would strike sporadically. Most charters were doing well to land a couple of tuna on some days, while on other days anglers landed as many as five or more. Many of the yellowfin landed on these grounds averaged in the 25- to 60# class — quality fish, just not in any significant numbers. 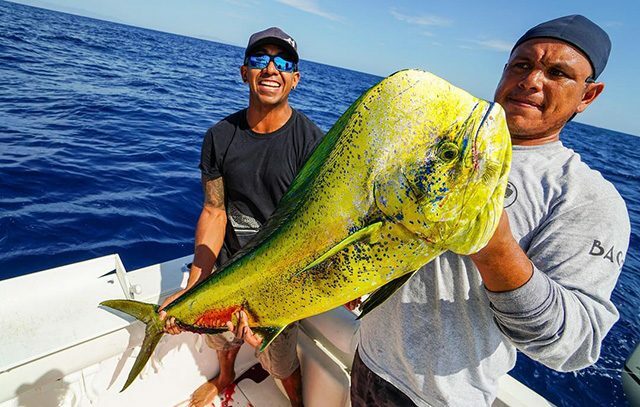 These fish have been in these same areas for the entire summer and have now become wiser to the increased boat traffic, though we expect action to start spreading out some and hopefully, we will see more dorado moving in; so far, they have been scarce — an occasional one or two dorado in the 2- to 12-pound range. 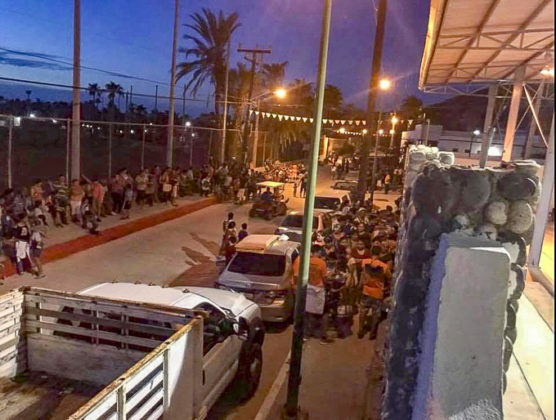 Wahoo action has been limited, though a few fish are brought in from the areas near Iman to Vinorama, most under 30-pounds, striking on lures and rigged chihuil. Wahoo do not often seem that active when the ocean temperature is this warm. As the cooling currents move in, we expect to have much better chances for these popular fish. We heard of some better blue marlin action off the fishing grounds closer to Cabo San Lucas; off San Jose del Cabo a few blues over 200-pounds were reported, as well as many more sailfish have been spotted in local waters now. 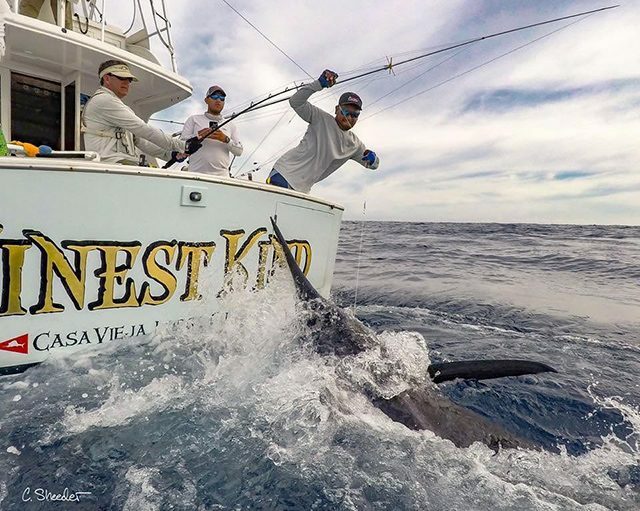 Sailfish up to 100-pounds were landed where the yellowfin tuna were schooling. These fish like the warmest of waters. 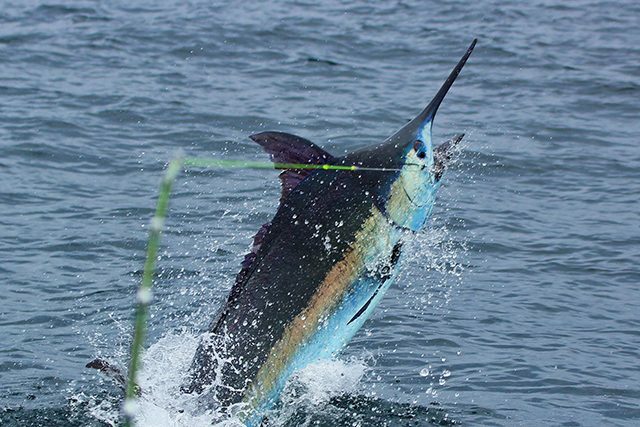 Many tuna up to 45-pounds have been taken recently, along with a few dorado … most were caught on the 95 Spot; in addition, there have been great billfish catches with lots of striped marlin and sailfish, many blue marlin, a 450-pound black, and inshore anglers caught a large number of roosterfish and sierra. 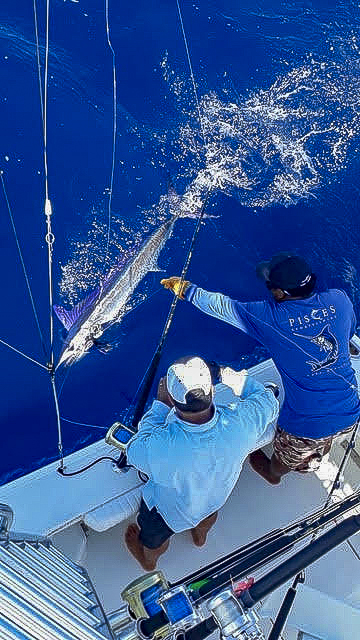 As the season has turned to fall, some monster blues weighing 340-pounds, 290-pounds and a black weighing 450-pounds were all released on the 95 Spot by the Pisces Fleet plus FOUR GRAND SLAMS in one week! 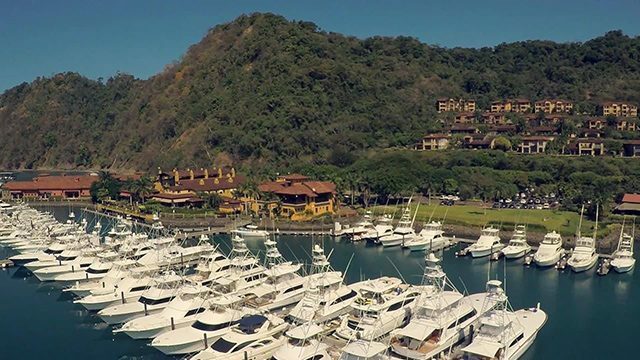 Los Sueños Resort and Marina is Costa Rica’s premier residential resort and marina, with over 500 luxury residences and a 200-slip international marina. 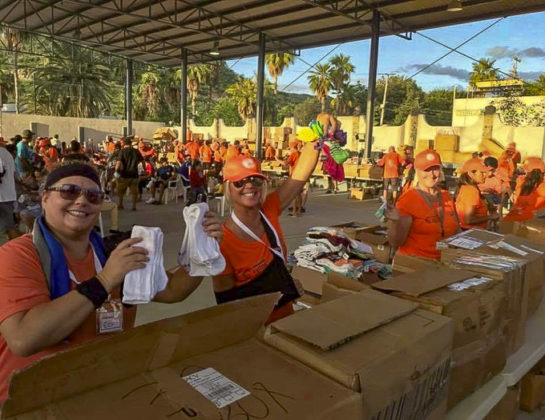 4000 people getting a new pair of shoes just flat ROCKS! 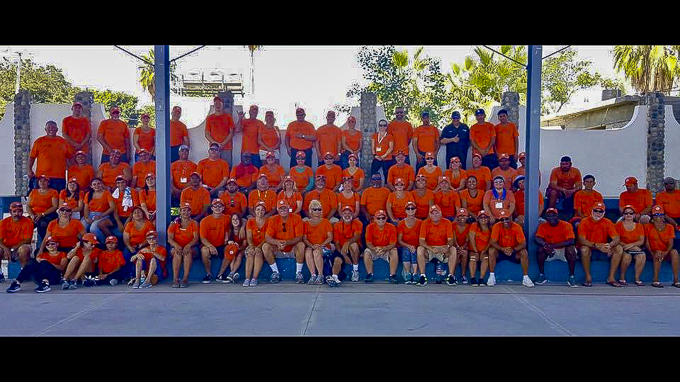 Good Job ALL.